In my production environment, when I try to run the counter log, it shows the following error message. 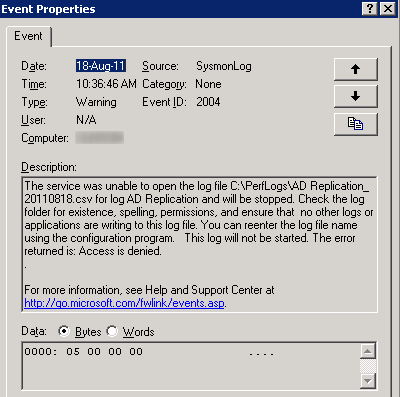 I launched the Event Viewer and checked the Application Log. 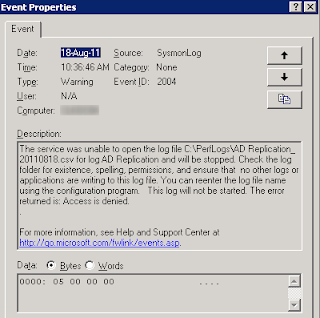 I found the warning log which is Event ID 2004. 1. At the server, launch "Windows Explorer". 2. 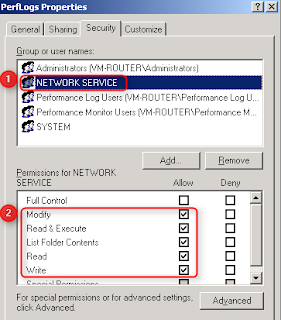 Navigate to the directory saved logs. 3. Right-click the directory, select "Properties". 5. 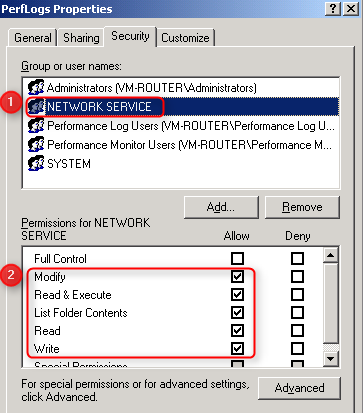 Make sure "NETWORK SERVICE" account is added and assigned "Allow - Modify". If the "NETWORK SERVICE" account is removed, it shows the above error when you start the counter log.